Incredible shape and colours! 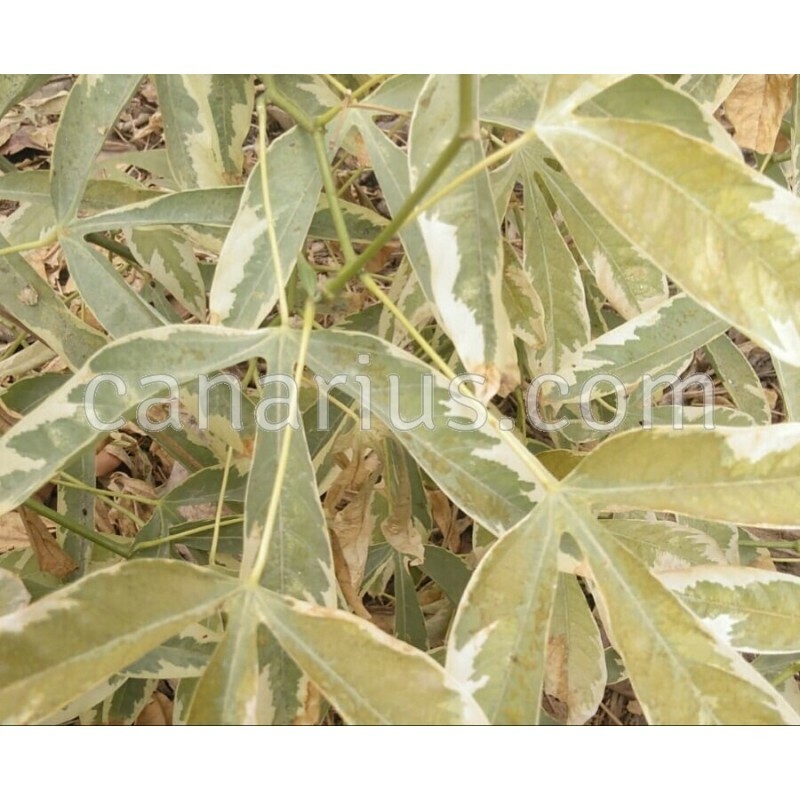 It is a variegated cultivar of the popular tapioca or cassava. This deciduous shrub is an exciting addition to any tropical setting, as it makes a perfect mound of bold ornamental foliage. Also flowers and fruits are a nice additon. It is a tropical plant but it can be grown in a pot and saved indoors during dormancy. We offer a well-rooted, 1 year old plant. It is a deciduous shrub and our plants are leafless from January to early May.